Content: Goo's wireless hard drive is a great way to back up your data and keep your confidential documents in a safe place. 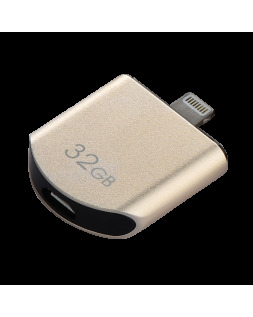 A compact wireless Wi-Fi drive with a 32 or 64GB flash memory; it allows for high-speed data transfer from your smartphone or tablet. The external hard drive supports up to seven simultaneous connections and promotes collaborative working. Free up space on your iPhone or iPad with our 23 or 64GB high-capacity flash drives. Increase your smartphone's storage capacity by transferring your files whatever the file format. The Goo Air Disk is an ideal holiday companion. And check out our standard 16 or 32GB flash drive. 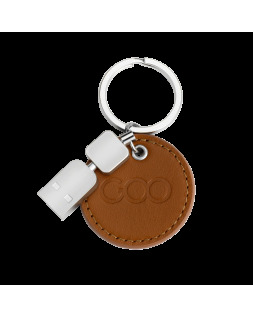 Take it with you wherever you go thanks to its stylish keyring clip in a combination of leather and metal. Our standard flash drives connect to a USB port, and have a write speed of up to 5MB/s with a read speed of up to 18MB/s.